Michael Hernandez stresses the importance of having available space for physical activity and social engagement. A new transportation hub has opened in the Bronx, and it's doing more than just getting residents from point A to point B. Fordham Plaza provides a new space to be used simultaneously by cars, buses, trains and pedestrians. Having available space for people to be able engage in physical activity, as well as social engagement, is very important for people's health. The $34 million project was funded on the local, state and federal levels. The plaza spans 1.7 acres and, in addition to providing new space on the road, adds more public space, too. 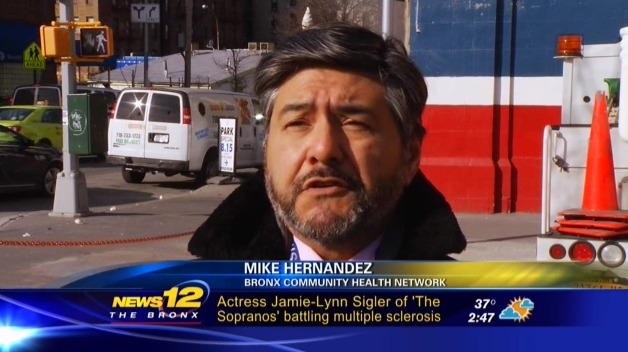 "Having available space for people to be able to engage in physical activity, as well as social engagement is very important for people's health," says Mike Hernandez, from the Bronx Community Health Network.